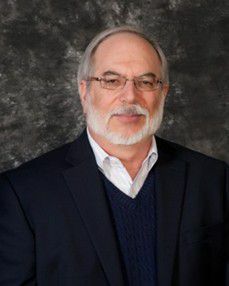 ENTERA HEALTH CEO, DR. GERALD KLEIN DISCUSSES THE LAUNCH OF ENTERAGAM™ (SERUM-DERIVED BOVINE IMMUNOGLOBULIN/PROTEIN ISOLATE, SBI) INTO THE MEDICAL FOOD MARKET - Entera Health, Inc.
Dr. Klein was most recently the Chief Medical Officer, VP of Clinical and Medical Affairs at Talecris/Grifols. He previously served as a Sr. VP at Quintiles, the President of SDCRA (a niche’ CRO), Professor of Clinical Medicine and Pediatric University of California, Irvine. He was a practitioner and Clinical Investigator in San Diego. He has also held board seats on several start-up Pharma and Biotech companies. CEOCFO: Dr. Klein, what is the basic concept of Entera Health? Dr. Klein: Entera Health is a biotherapeutic company that produces a generally recognized as safe (GRAS) bovine serum immunoglobulin/protein isolate (EnteraGam) as a medical food. ENTERAGAM is a prescription medical food product indicated for the clinical dietary management of enteropathy or intestinal disorders under medical supervision for the following: enteropathy in patients who, because of therapeutic or chronic medical needs, have limited or impaired capacity to ingest, digest, absorb, or metabolize ordinary foodstuffs or certain nutrients; enteropathy in patients who, because of therapeutic or chronic medical needs, have chronic loose or frequent stools; HIV-associated enteropathy including chronic loose or frequent stools. CEOCFO: Why is that a good fit for the problem and how did Entera Health come about the problem? Dr. Klein: Our sister company, APC, has had this product for over 20 years. It is a feed supplement in the animal husbandry industry. It has been found that piglets thrive when they are weaned and fed on the immunoglobulin/protein product. Most of the pigs in the US and around the world use LGI’s product. Because of this success, it was used in people first as a dietary supplement then in formal studies which have demonstrated some of the benefits of this product by providing distinct nutrition for the management of patients’ gastrointestinal symptoms as part of their disease. CEOCFO: Has this been tried before? Dr. Klein: There are numerous medical foods currently on the market for the management of chronic conditions and diseases. This is actually a very old class of products which has been around, in some form, since the early 1940s. 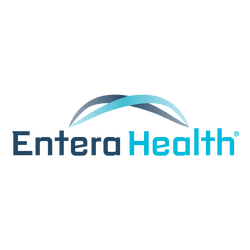 CEOCFO: Where is Entera Health in the development process? Dr. Klein: We are going to launch our product in July. We are also doing clinical studies in other indications as well as developing other products. CEOCFO: What is a medical food? Dr. Klein: The term medical food, as defined in Section 5(b) of the Orphan Drug Act (21 U.S.C. 360ee (b) (3)) is "a food which is formulated to be consumed or administered enterally under the supervision of a physician and which is intended for the specific dietary management of a disease or condition for which distinctive nutritional requirements, based on recognized scientific principles, are established by medical evaluation." The food has to have GRAS status; that is, it is food safety. This is the highest level of safety which the FDA endorses. Drugs cannot be GRAS because they are intended for very specific and narrow populations. EnteraGam meets this strict definition. CEOCFO: How does Entera Health reach the community that should be paying attention to what you have created? Dr. Klein: The way we do that is through publishing in peer-reviewed medical journals and presenting the data and studies we have done at medical conferences. We are currently recruiting a sales force that will be calling on physicians and explaining to them the product’s benefits—what it does and how they should use it. CEOCFO: Has the medical community been looking for a different option to intestinal problems? Dr. Klein: Yes, they definitely are. When we speak to physicians, they like the idea that this is a natural, safe food product. We estimate that about 200,000 people have already used this food product and the company has not received any reports of serious adverse advents. The medical community is looking for new options to many of the problems that they have had and they know many people would like a natural medication over taking numerous drugs. Of course, drugs have an important place in therapy and this may complement the therapy and further help the patient. It is not meant to replace the treatment. For example, we are going to conduct studies in patients who have weight loss from the cancer on the medication they are taking. We will try and see what medical food is able to help provide nutrition to help manage their condition. We do not know yet because we have not conducted the studies but that is one of the things we will be looking at in the future. CEOCFO: You mentioned that the product has been on the market in a different form—why the change? Dr. Klein: It was originally on the market in a lower potency as a dietary supplement. The new form is more potent and may be more useful as part of the overall regimen of ongoing medical care. Before, it was more of a supplement whereas this is a medical food. Supplements are for supporting healthy people and medical foods are meant for people with specific medical problems. This is an improved version. There are examples of nutritional molecules which exist as supplements, medical foods and drugs. Niacin, a B vitamin, omega-3 fatty acids, and iron are three examples which come to mind. CEOCFO: Would you tell us about the medical food industry in general? Dr. Klein: The largest producers of medical foods are Nestle and Abbott. Many medical foods are in the hospital area, for example with patients who cannot swallow and receive tube feedings. Medical foods are now thought to be a more important area, due to our greater understanding of the influence of diet on the microbiota in the gut, chronic inflammation and subsequent disease which influences the intestine’s ability to absorb nutrients. The microbiota in the gut is composed of all the billions of bacteria which help make digestion possible. There is evidence that imbalances in these bacteria may lead to specific diseases. CEOCFO: Is it a worldwide market? Dr. Klein: Medical foods are available only in the United States, but other countries around the world have similar food therapy categories, some known as food integrators. In Europe, especially Germany, and Asia, food is used in therapy much more widely than in the United States. We intend to have a global reach which meets the individual regulatory demands of all food therapeutic categories around the world. CEOCFO: Will Entera Health be seeking partnerships or additional funding as you move forward? Dr. Klein: We are adequately funded by our parent company; however, we may seek additional funding for the development of some new products. CEOCFO: What are your future expectations for Entera Health? Dr. Klein: Our plans are to conduct clinical trials for other gastrointestinal disorders, to try and nutritionally manage the weight loss associated with cancer and emphysema by providing specific nutrients required for that condition. In addition, we plan on developing safe, effective new products to aid the well being of patients who suffer from diseases where there are currently limited therapeutic options. We intend to become a global company and will also conduct studies outside of the US. CEOCFO: What makes Entera Health stand out to investors and people in the business community? Dr. Klein: We have a unique product that we will demonstrate scientifically to provide effective distinct nutritional support to meet the unmet needs of some patients who suffer from some specific chronic gastrointestinal disorders. Entera Health Inc. has the scientific and clinical staff to create new products, and conduct both the basic and clinical premarket work required to take it to market. Our company also has an experienced talented commercial group to make it a great success. Dr. Klein: The medical foods area can help many people, especially ones who have some severe side effects to other therapies which change their nutritional status and who need supportive care and the nutritional management to help them improve their quality of life. Entera Health, Inc. is focused on improving worldwide health through the development of clinically safe biotherapeutics to address unmet needs. Our passion is to Help People Thrive through healthier living! Our motivation for conducting basic research, clinical studies, and providing appropriate education to patients and healthcare providers is driven to meet this goal.